This resource is from the Learn & Teach Series for educators and learners on legal topics. Settlement workers and others working with immigrants are often the first point of contact for people who may not know that the law can help with their problem. Providing legal information and referrals at this early stage can help clients learn about the law, the legal system and where they can go for more help. This "how to" guide for settlement workers and others working with immigrants in BC covers how to identify when a client may have a legal issue, how to find legal information and help, and how to make effective legal referrals. There are four ways to access the information in this guide. You can watch the videos, read online, download the document onto your device, or print the information. Suggested uses include orientation for new staff or viewing a video in a staff meeting to start discussion. What is Legal Information and What is Legal Advice? The videos can be viewed all at once or one at a time. This guide was produced by the Immigrant PLEI Consortium (IPC). The Justice Education Society is the lead agency of the IPC, a consortium of service agencies that use a collaborative model to provide legal education and information to immigrant communities. The project, which involves 12 Lower Mainland organizations, has developed public legal education resources in a number of languages. 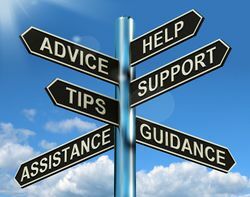 Settlement Workers Guide to Helping Clients with Legal Information and Legal Referrals © Immigrant PLEI Consortium (IPC) is licensed under a Creative Commons Attribution-NonCommercial-ShareAlike 2.5 Canada Licence. This page was last edited on 17 March 2015, at 14:18.